Ever since the launch of Captur in November 2017 with primitive success, Renault is readying its next big launch for the Indian market. Having been spotted testing many times over the last few months, the MPV codenamed RBC has finally received its production moniker and it is called as “Triber”. The Renault Triber will go on sale in July 2019 and will compete against the likes of Datsun Go Plus and Maruti Suzuki’s top-selling Ertiga. The Triber will be positioned below the Lodgy and is built on the updated version of CMF-A architecture that also underpins the Kwid. The heavily localised platform will enable Renault to aggressively price the MPV. The seven-seater is expected to undercut the Ertiga and create a niche on its own but whether it is a gamble worth the payoff or not is up for anybody’s discussion. The Triber is an entry-level MPV powered by the turbocharged version of Kwid’s 1.0-litre petrol engine and to have a wide range, it will likely be offered with both manual and AMT transmissions. On the outside, the Triber features signature front end the French brand has been following in overseas models for a long while. It adorns V-shaped radiator grille, LED Daytime Running Lights, slim headlight setup and LED tail lights. It has a typical silhouette of an MPV with thick and tall pillars serving to provide sufficient headroom for the passengers. Sticking by the new safety regulations, the Renault Triber will come equipped with driver airbag, ABS with EBD, reverse parking sensors, speed warning system, seatbelt reminder for driver and co-driver, etc. The top-end variants will adorn a touchscreen infotainment system with Apple CarPlay and Android Auto, reversing camera, and so on. 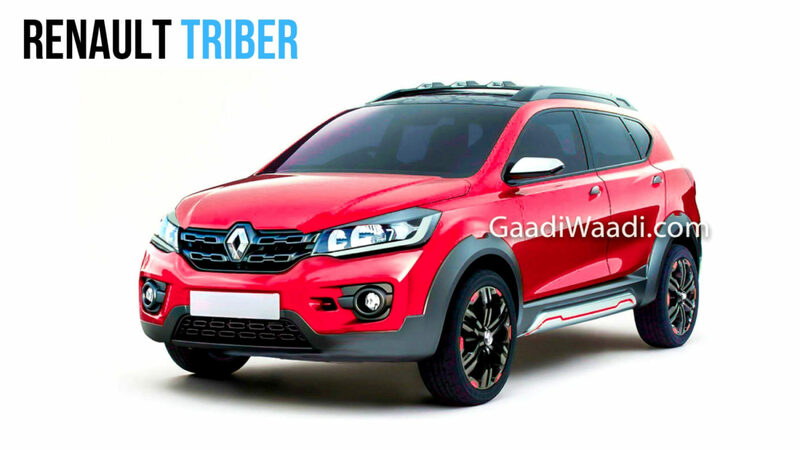 Expect the pricing of the Renault Triber to range between Rs. 5 lakh and Rs. 8.5 lakh (ex-showroom) and it will play a key role in Renault’s future sales aspiration. The facelifted Duster will more likely be introduced in India later this year as well.